contemporary Asian Art, including the works of Nobel laureate Gao Xingjian. Attendees will have the rare, exclusive opportunity to meet authors Mr. Shen Jiawei and Dr. Mabel Lee, who will be giving talks about their books. Professor Mabel Lee, Distinguished Professor in the “Chinese Culture in a World Context” research project at the Open University of Hong Kong, will be giving a lecture “Transcending Cultural Traditions: Lu Xun and Gao Xingjian” on March 19 (Monday) at 2:30 p.m. at the OUHK Main Campus in the B0614, 6/F. Professor Lee is best known for her translations of Nobel Laureate of Literature Gao Xingjian’s writings and as coeditor of The University of Sydney East Asian Series (1986–2000). There will also be a double launch of Professor Lee’s latest books, Painting History: China’s Revolution in a Global Context by Shen Jiawei and Gao Xingjian and Transmedia Aesthetics (coedited with Liu Jianmei, HKUST). The two books have just been published and will also be launched at the Cambria booth (109) at the AAS 2018 conference in Washington, DC. MCLC book review nails it on why this book by Nobel Laureate Gao Xingjian needs to be read by all in literary studies! Cambria Press congratulates Gao Xingjian and Mabel Lee on the glowing review of Gao Xingjian: Aesthetics and Creation by Dr. Kwok-Kan Tam (Dean of the School of Arts and Social Sciences at the Open University of Hong Kong) for the journal Modern Chinese Literature and Culture (MCLC). Finally, the review concludes with stating that “the book is a timely addition to the growing critical works and translations in Gao Xingjian studies. It also announces Gao (to English-language readers) as a major voice in literary aesthetics and politics, a Chinese Nobel Prize winner who remains a leading figure in creative circles and in dialogues and debates between China and the West. 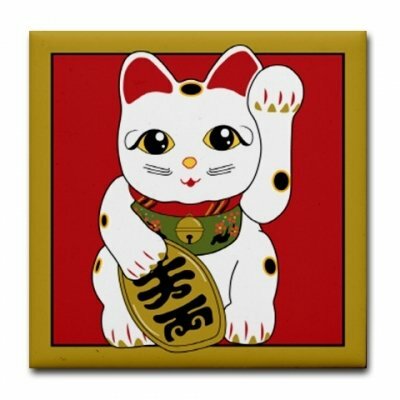 The English translations are easy to read and help to explain concepts of Gao’s that are not readily understood in Western languages. The work has been edited carefully and, while the language is appropriate for a critical work, technical terms have been explained and translated into common usage for lay readers. It is a beautifully produced book, with a cover that shows the writer Gao Xingjian engaged in deep introspection … highly readable and engaging.” Read the full MCLC review for Gao Xingjian: Aesthestics and Creation. This book is in the Cambria Sinophone World Series, headed by Dr. Victor Mair (University of Pennsylvania). This will be an amazing gift for the holiday season! Enjoy a 35% discount + FREE shipping on this impressive hardcover book by using the web coupon code WINTER35. Click on Buy for Regular Book, and enter the web coupon code. The discount and free shipping will apply during the checkout. The offer ends on December 15, 2013! Questions? E-mail sales[at]cambriapress.com. Get the Cambria Press e-book version of this book today and read it on your kindle, iPad, or e-reader of your choice today. Don’t forget to recommend this Cambria Press book to your colleagues and librarians! This book will be on display at the Cambria Press MLA booth in January and at the Cambria Press AAS booth in March. Cambria Press will be right in front of the exhibit hall entrance at both conferences. See also the 2013 MLA book launch reception (videos included!) for Gao Xingjian–all his sessions were packed and many also enjoyed meeting him at the Cambria Press booth. 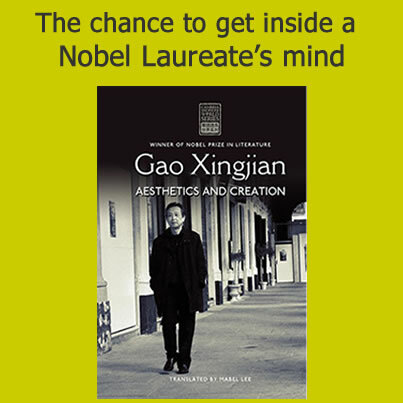 Editors’ Favorite: Book by Nobel Laureate Gao Xingjian! 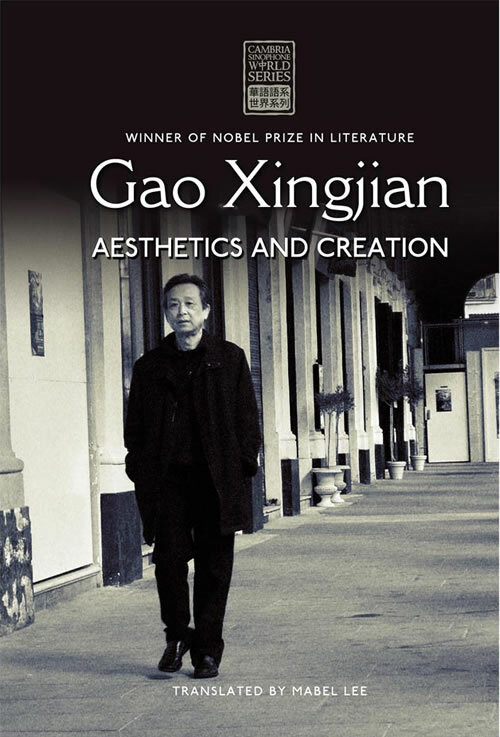 Congratulations to Nobel laureate Gao Xingjian and Mabel Lee for Gao Xingjian: Aesthetics and Creation being picked as an editors’ favorite by Cerise Press, a journal of literature, arts, and culture! To commemorate this and by request, this beautiful hardcover book will be made available for only $39.95 (list price $109.99) until August 12, 2013. Find out why Gao states that “The pressure of globalisation on serious literary creation continues to increase unabated” as well as other important insights he provides. This is most rewarding book for writers and literary scholars, so be sure to take advantage of the special price for this brilliant book by a Nobel Prize Winner in Literature! This book is part of the prestigious Cambria Sinophone World Series, headed by Dr. Victor Mair. It was launched at the 2013 MLA annual convention and it was received with great enthusiasm both at sessions for Gao Xingjian and at the Cambria Press booth. This special price is available to individuals and organizations, so spread the word! If you have any problems ordering, please send an e-mail to sales[at]cambriapress.com.